Calculating the ROI for mobile app marketing has always been complicated because of so many moving parts. For the most part, a lot of that has to do with complex user behavior on the mobile. 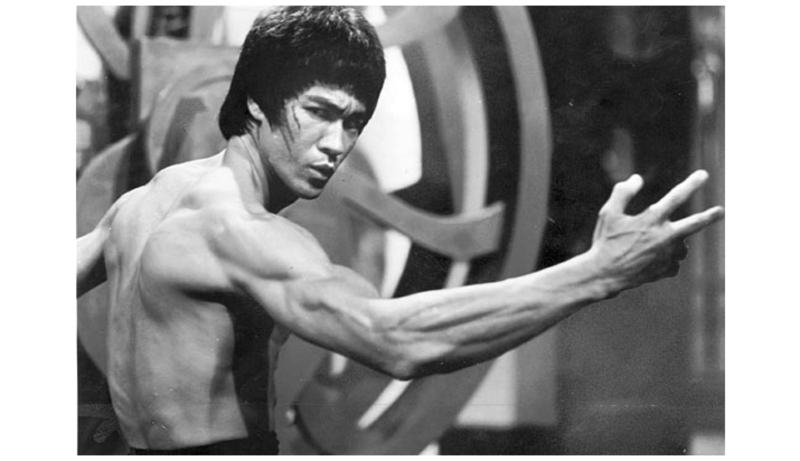 To understand exactly how complex, let’s look at Bruce. He’s a 25 year old sneakerhead who can drop up to $5,000 on a pair of sneakers, and is always on the lookout for rare and limited edition trainers. You are a sneaker app with the merchandise that would send Bruce to cloud nine. However, Bruce isn’t just going to download your app even if he hears about your awesome collection. Instead, this is how he will probably interact with your brand, over a period ranging anywhere from a day to a few months, depending on how badly he needs those shoes. Plot twist: Bruce is Batman! He finally gets the sneakers, and you get a new user,. Now comes the hard part for you as a marketer: how do you calculate the ROI of your app marketing? 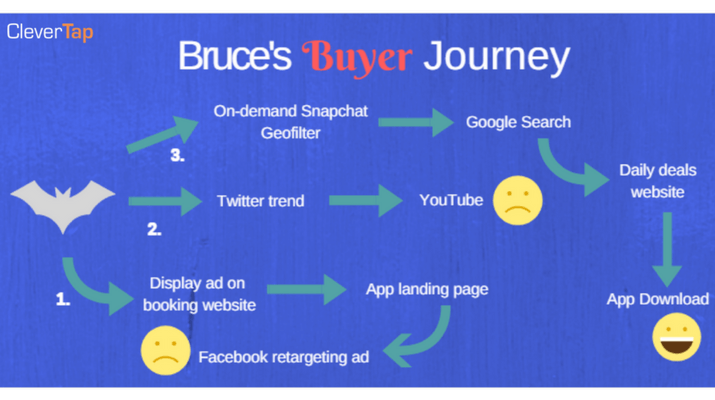 In Bruce’s story, you might be tempted to attribute the download and sale to the deals website, because that’s what your analytics would show as source of traffic. If you go down that route, you might ramp up your investment in that website, issuing more coupons and potentially neglecting other channels. His decision to buy was likely influenced by what he saw online across multiple channels. The deals website was just the means to an end, and not the reason. Google, for example, found out that one car buyer went through 900 + digital interactions over a period of three months before making a decision. Notice the different channels at play in this buyer journey? While the number of interactions are high because the car is a higher value purchase compared to a shoe or a $1.99 app the principles behind customer behavior are consistent: people will use multiple channels to find out about your product or service before they make the final decision. Understanding how a buyer finds out about your app is crucial if you want to really calculate the ROI of your app marketing. But that’s just one piece of the puzzle. Whether users are responding to your onboarding process and not abandoning or uninstalling the app immediately. How are users responding to different retargeting or marketing campaigns to get them to be more active on the app. The channels and campaigns which are sending the most loyal or most high value users. The customer acquisition cost for users who join following a referral campaign, and the channels which drive the highest referral installs. Fortunately for you, there are a bunch of frameworks you can use to uncover the metrics that would help you answer these questions. We will be using the familiar AARRR (Acquisition, Activation, Retention, Referral, Revenue) framework. This article goes into details about determining your mobile marketing KPIs but for tl;dr version, here’s what you will get after going through the process of figuring out your metrics by using the Goals-Signals -Metrics framework. Referral Users talk about your app in positive terms and drive more downloads – Glowing reviews on App and Play Store. Different apps will have different AARRR metrics, but this table can help you get started. Once you know the metrics you need to track, you will need to set up systems to track your costs and your revenue to find out your ROI. But as you might suspect, it’s not easy. Let’s talk about Bruce’s sneaker shopping journey for a bit. …also demonstrate the value of mobile app as a whole, as opposed to other channels like social or digital. After all, there are already mutterings that mobile apps have peaked and they would be rapidly replaced by newer channels like chatbots, or by progressive web apps. This is what a data backed, ROI aware mobile app marketing strategy looks like. True Story! There are a whole branch of approaches for calculating app ROI considering the mind boggling diversity in the app universe. This approach works if your app has one single most valuable post install action that the user can perform, like upgrading to Pro version. The cost per install number will give you the total costs incurred in acquiring a high value purchaser, and dividing this number by the total revenue per user for the same time period will give you the app marketing ROI. You can fine tune your marketing strategy by segmenting these numbers on a campaign, channel, creative or source basis to identify the high performers, and either double down on them or work to boost the laggards. 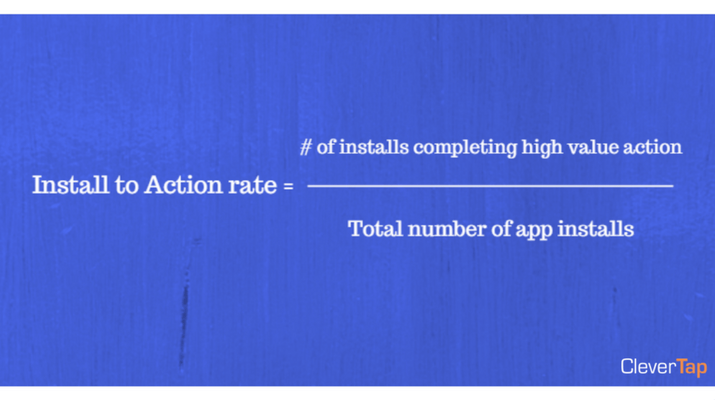 Another related metric that will give you insight on the value of your entire post install funnel is the ITA (Install to Action) rate, which is defined as the number of installs that perform the highest value action. 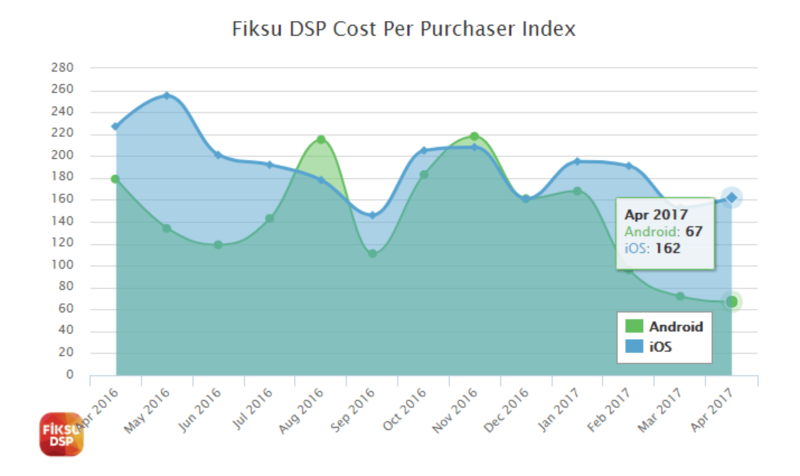 You can benchmark your CPA by using data from Fiksu’s cost per purchaser index. As the following graph shows, getting purchasers on Android is less costlier than on iOS. If you are not directly selling anything, or if you are in charge of an enterprise app built for internal users, you might not be able to use the revenue metrics to calculate the ROI. 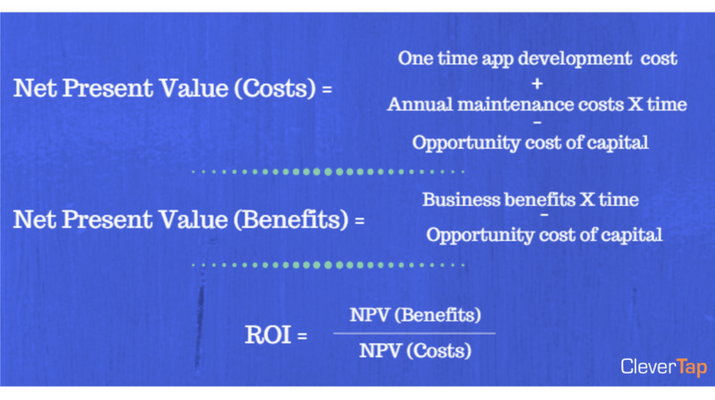 In such a scenario, you can use the net present value formula to calculate app ROI. NPV (Benefits): Find out the value delivered by the app over its complete lifetime. 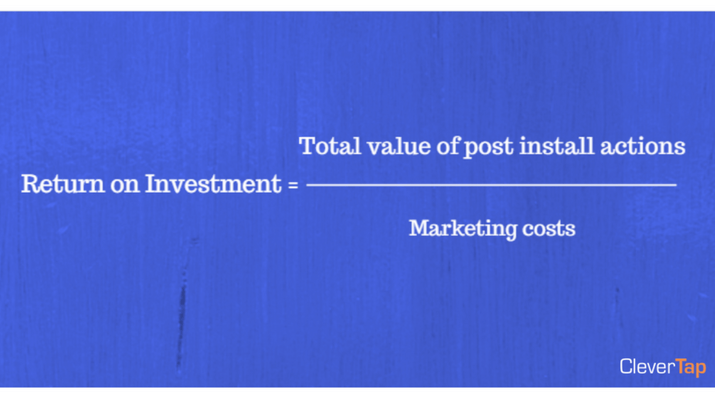 Divide benefits by costs to get the ROI. 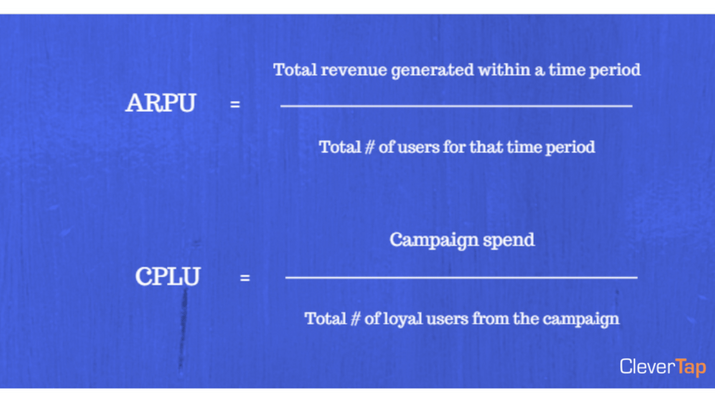 Another way to find out whether your app marketing is going on the right track is to calculate the ARPU (Average Revenue Per User) and CPLU (Cost Per Loyal User) numbers and compare them. 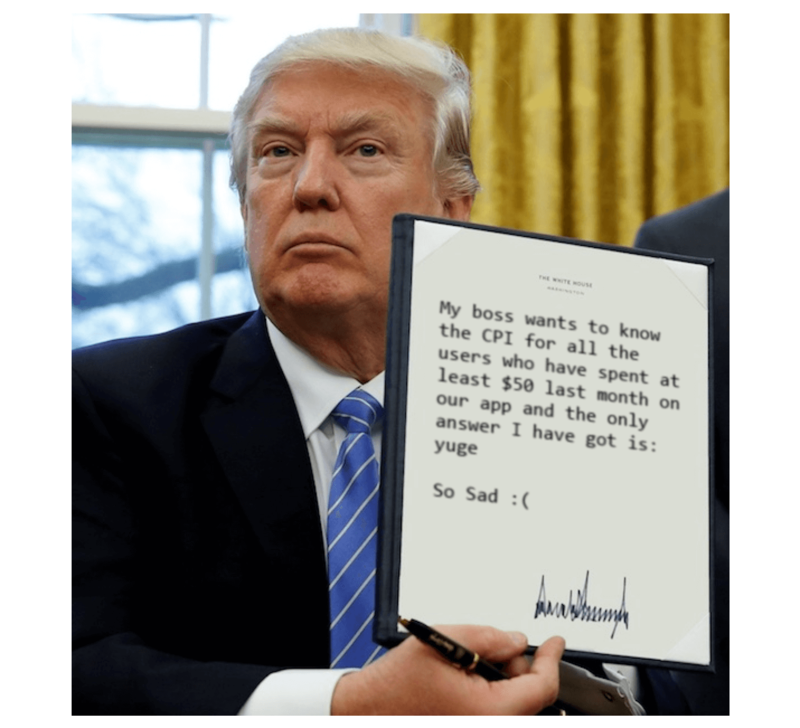 You are in positive ROI if your ARPU is greater than CPLU. As you may have realized, ROI isn’t something that you can get by punching some numbers into a spreadsheet or a calculator. 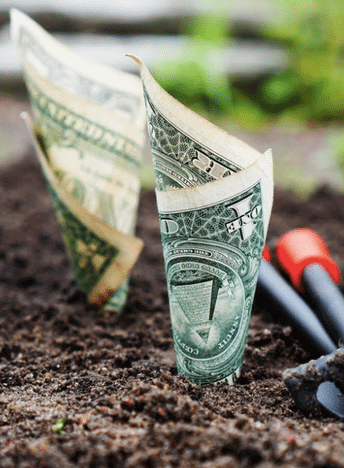 Your ROI numbers will always have an element of uncertainty, especially if you are a fast growing team with multiple marketing experiments running at any given time. Instead of absolute numbers, pick one method for ROI and observe the trend over a period of time (assuming that you haven’t drastically changed your marketing strategy). But even if you don’t have fancy spreadsheets, focus on increasing the ARPU metric while keeping other variables constant. This simple tweak will guarantee that your app marketing effort is delivering positive ROI.